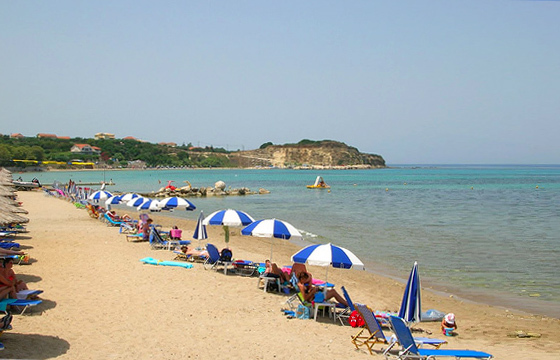 Bouka beach is located 8 km north from Zakynthos ton, very close to Tsilivi. It is a small sandy tranquil beach, ideal for those seeking an alternative place to relax. It boasts crystal clear waters so it is also ideal for snorkeling.